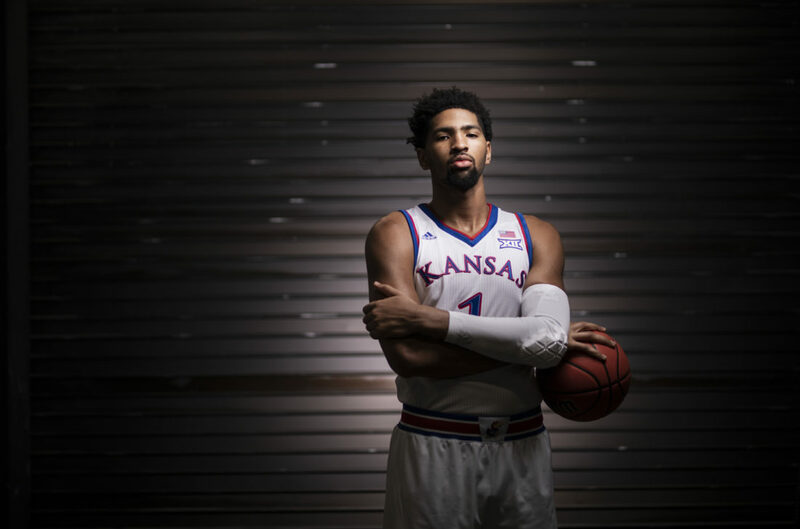 Kansas forward Dedric Lawson pictured on Media Day, Wednesday, Oct. 10, 2018 at Allen Fieldhouse. Salt Lake City — Kansas basketball coach Bill Self has a saying he uses this time of year that probably applies to this KU team better than most during his 16-year run with the Jayhawks. “When you’ve got a great player, which we do, you can always ride that guy,” Self said recently when talking about 4th-seeded KU’s postseason chances. The team tips off at 3 p.m. Thursday against No. 13 Northeastern at Vivint Smart Home Arena. 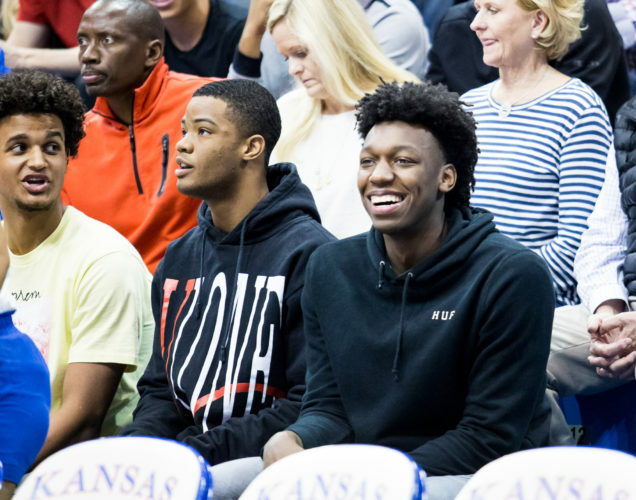 This year, that player is junior forward Dedric Lawson and there is genuine hope, and even some belief, that Lawson can rip off a Danny and the Miracles-type run for the Jayhawks during the next couple of weeks. 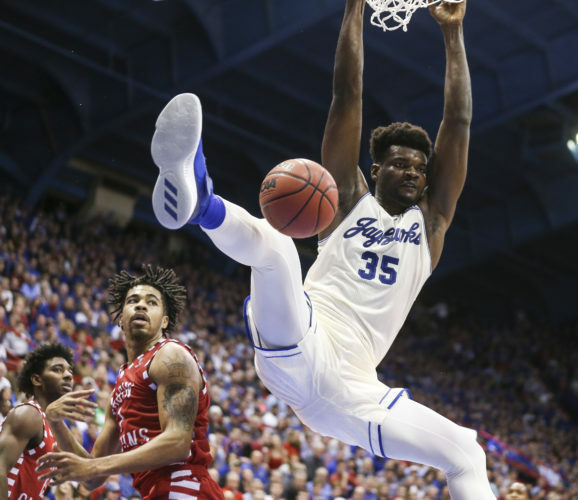 But this is not the first time the sleepy-smooth, 6-foot-9, 235-pound forward from Memphis has been compared to KU legend Danny Manning. 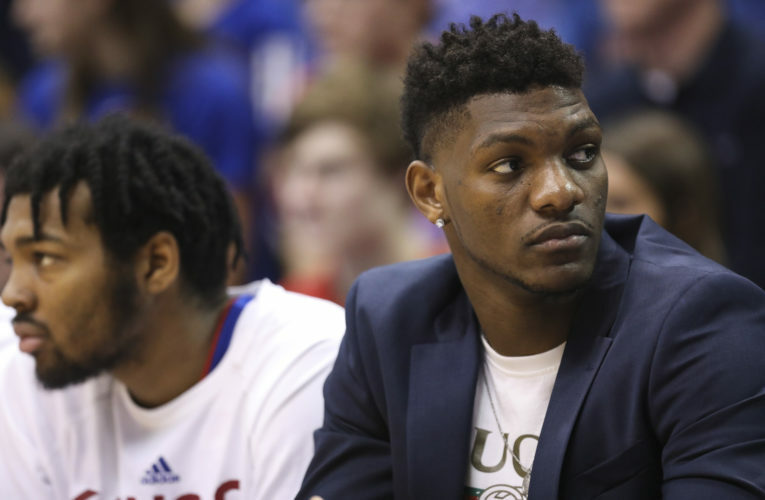 Back in October, at Big 12 media day, while being sure to clarify that he was not, in any way, saying his current Jayhawk was quite as talented as the program’s all-time leading scorer, rebounder and former No. 1 overall pick, Self said Lawson had traits that reminded him of Manning, both from an athletic and intelligence standpoint. And like Manning did back in 1988, Lawson is hoping to lead these Jayhawks to a memorable run through March that will live in KU lore forever. Doing so would instantly turn a tough season into a special one for the Kansas program. And for Lawson, it would be the culmination of a lifetime spent preparing for this very moment. It’s possible that the technical foul Lawson received near the end of the Iowa State loss in last week’s Big 12 tournament title game was that “gentlemen, start your engines” jumpstart Lawson’s mother spoke of. For one, the whistle served as a sign that Dedric was aware of what’s at stake at this time of year. For two, it was an indication that, after an 8-for-21 shooting night that looked even worse than those numbers suggest, Dedric was not willing to simply return to his default position — smile on his face, laid-back demeanor, happy and friendly with everybody — and, instead, was on the verge of actually getting mad. The moment was not unlike one Dedra saw a handful of years ago during her son’s final season at Hamilton High in Memphis. Playing rival East High at home for a district championship late in the season, Dedric’s team lost to a younger group of talented players and the defeat infuriated him. But not because he struggled offensively. Dedra recalls her son scoring 30 points that night. Instead, his anger came from the lost opportunity. In some ways, it’s always been like that for Dedric, an old-school player with a dozen nicknames to go with his game — Smoove, The Big Ticket, Mini-Blake Griffin and Slow Good being most memorable among them — who cut his teeth playing on teams with older players. But now that he’s one of the veterans, Lawson knows it’s his time to take over. It’s the challenges he saw at a young age and the success he found while facing those challenges that have those closest to Dedric feeling supremely confident that the Big 12 Newcomer of the Year, who this week was named a third-team All-American by the U.S. Basketball Writers Association, can carry the Jayhawks this month to a deep run in the NCAA Tournament. Frank Harris, Lawson’s AAU coach with the Memphis War Eagles, tells it best. Dedric’s basketball-playing days began when he was 3 years old, but his was not a Tiger Woods phenom type of story. Instead, Dedric’s first taste of the game came with a group of 4- and 5-year-olds who needed his help to get the games going. And from that, Dedric’s unselfish nature was born. Constantly searching to see things unfold on the court before they happened and always willing to set up others for their share of success, Dedric discovered early on that a pass that led to points could be just as rewarding as scoring the points himself, and he hasn’t stopped passing since. 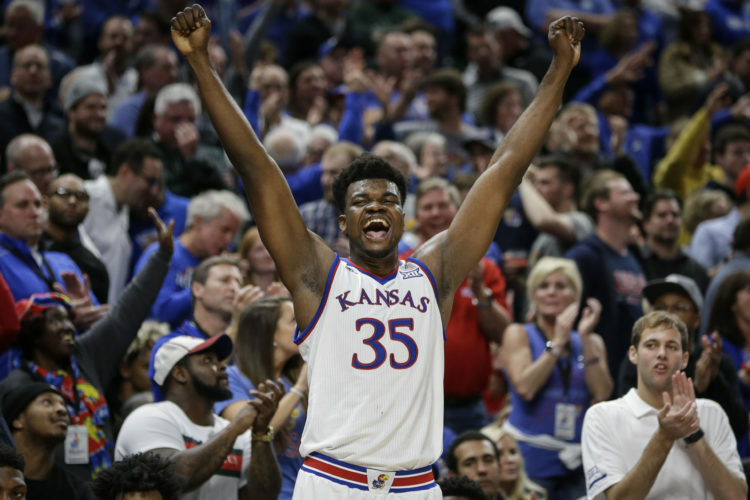 His 58 assists this season put him third on the team, but plenty within the program believe that number would be higher — perhaps doubled — had 7-foot center Udoka Azubuike not missed the final 25 games of the season because of injury. Last summer, before his first season with the Jayhawks, Self called Dedric the best passer he has ever coached at Kansas. The reason? His vision, anticipation and ability to think two or three moves ahead, like a world-class chess player — and like Manning — always put Dedric on another level. When Dedric was 10, playing for Harris with the War Eagles, he led his team to an AAU national championship. Sure, the squad had other talented players, many of whom went on to play college ball. But Harris did not hide the fact that it was Dedric who led them. 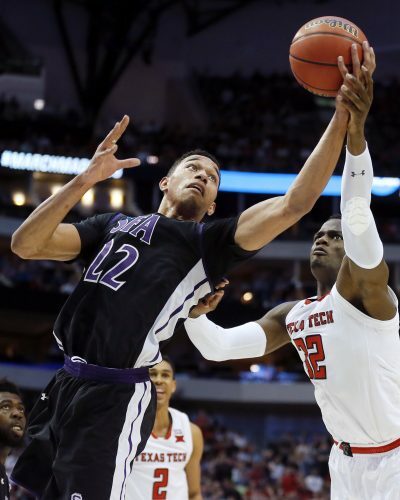 Most of Dedric’s time on the AAU circuit came with current Boston Celtics star and former Duke Blue Devil Jayson Tatum on his squad. But even on those teams, it was Dedric who stood out the most. One encounter with another former Duke standout, who also now plays in the NBA, marked the first time that Uncle Chuck really saw that his nephew could be special. That showing against Giles, who now plays for the Sacramento Kings, came in a winning effort and was one of the earliest instances of the greatness that could come from someone poking and prodding him to perform. This time, it was his father, Keelon Lawson Sr., Chuck’s older brother, who coached Dedric and his older brother, K.J., back in Memphis and now coaches the two youngest Lawson brothers, Johnathan and Chandler. Dedric said he cherishes all of those moments, and countless others, like they happened yesterday. They tell his story and paint a picture of how he became both the player and the man he is today. These days, however, Dedric is fueled more by joy than by rage. Always smiling and gifted in the art of friendly banter no matter who he encounters, Dedric’s focus on winning remains razor sharp, but he now wants to win for new reasons. “He has a different type of focus now,” his mother said. Dedric’s daughter, Kennedy, who lives with her mother in Wisconsin, turned 2 last Saturday, and it’s those more calming influences that inspire him today. That has served him well and seems to fit his game. Rather than needing to be turned up all the time, Dedric favors a more cerebral approach when attacking his opponents. Kansas fans, indirectly, often have made note of that fact this season, wondering why KU’s 6-9 power forward so rarely dunks the ball. Dedric can thank both of his parents for that. In addition to taking tutelage from his father and learning lesson after lesson in the heat of battle, Dedric and his brother, K.J., spent their youngest days in strollers on the sideline, while Dedra, who played college basketball at Shelby State, spent five years coaching the girls team at Lemoyne-Owen College in Memphis when the boys were toddlers. 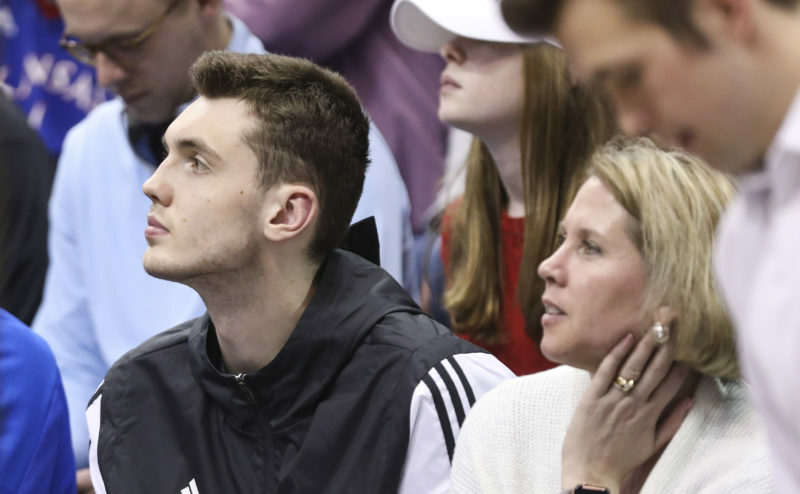 It’s that part of his past and present that make Lawson’s mother and father dually qualified to analyze just how ready he is for March Madness. Not only do they know their son, they also know the game. So when Dedra says her son is ready to deliver the type of postseason run others are hoping he’s capable of, it seems like more of a foregone conclusion than a fleeting hope. So is it safe to say that the NCAA Tournament, where legends are made, the eyes of the world are on you and shining moments never fail to flicker, isn’t either?